This new expression from Glenfiddich — entry #4 in its Experiment Collection (see also here, here, and here) — is one of the most fun the distillery has released to date. While it’s a NAS whisky that doesn’t really feel like a “serious” dive into Speyside’s single malt heritage, it does offer some distinct — and delightful — twists on the Glenfiddich formula. 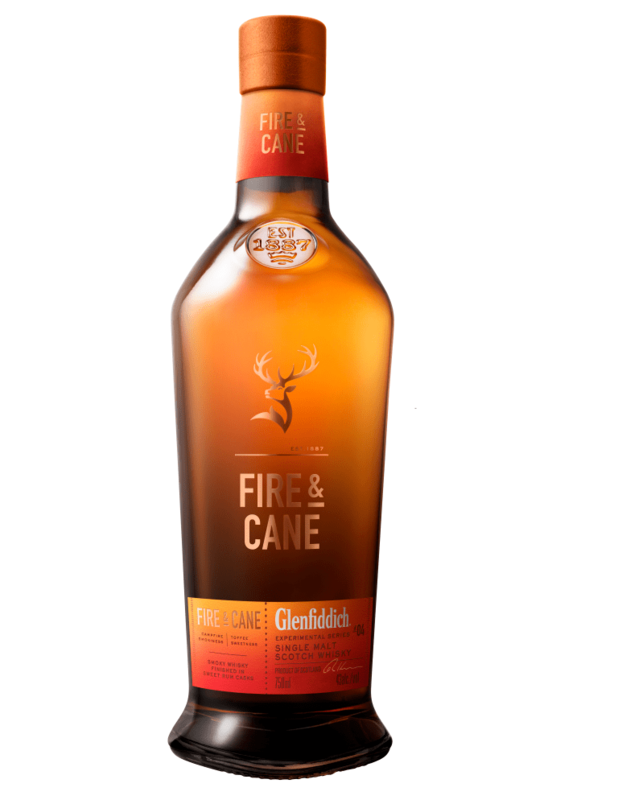 So there you have it: peated single malt, aged in bourbon casks, then finished for three months in rum casks — the peat being the most unusual part of this expression (Glenfiddich having a sizable history of putting whisky into rum barrels). From the start, I really enjoyed this whisky. The nose is lively and a bit smoky as expected, but even peat novices shouldn’t be too put off by it. Notes of red fruit and torched marshmallow are detectable beneath the initial push of smoke, giving the whisky an immediate sweetness. The palate is fun and unexpected. That bright malted milk note endemic to Glenfiddich pops right away, and then you’re off on the ride: Lots of honeycomb, sweet breakfast cereal, green apple, and a squeeze of lemon, all swirled into a modest — almost slight — smoky body. The texture is surprisingly creamy and silky, with a bright, citrusy finish — think lemon meringue pie put through the wood-fired oven. All told it’s surprisingly hard to put down… and that you can get this for 40 bucks is almost insane. Grab it now!